Home > Other Grocery Stores > Food City > Food City Ad: 4/22-4/28 | Mega Savings Event! 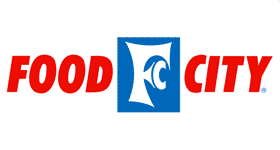 Food City Ad: 4/22-4/28 | Mega Savings Event! Here are all the deals that started 4/22 at Food City. Get FREE International Delight Coffee Creamer plus check out the Mega Savings Event too. Red, Yellow or Orange Bell Peppers, 88¢ ea.